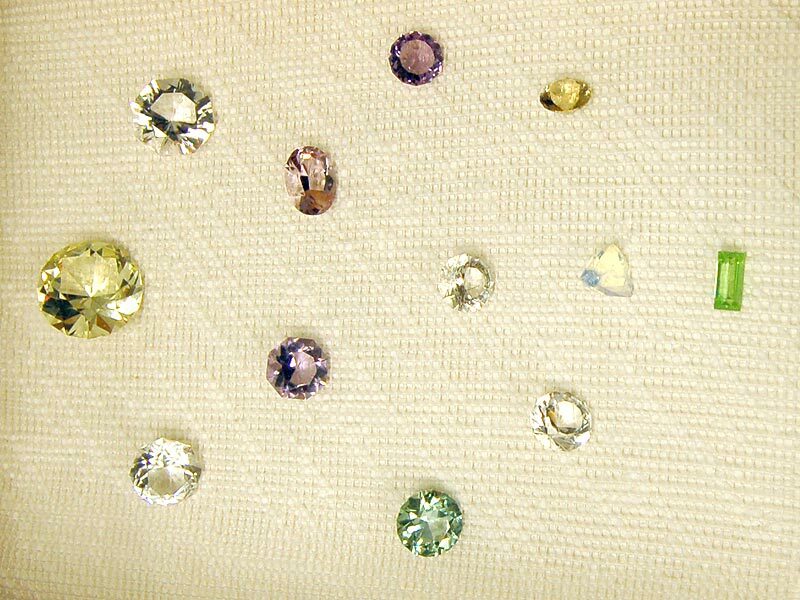 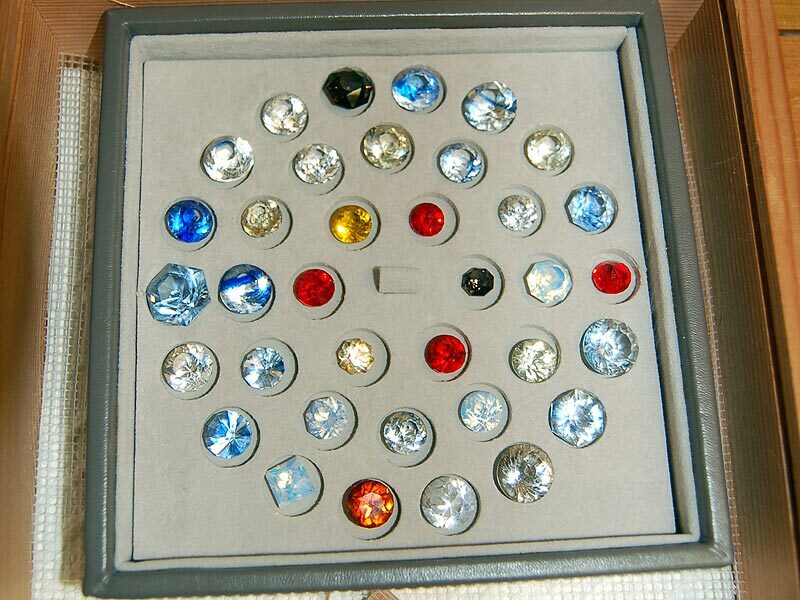 Our faceting area consists of seven faceting machines where practice the art of cutting or faceting semi-precious and precious stones into wonderful sparkling gemstones. 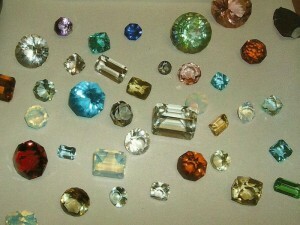 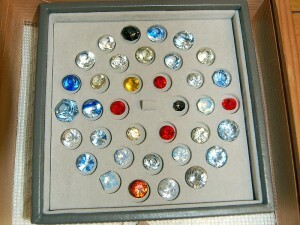 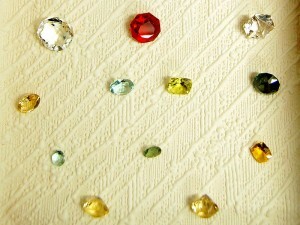 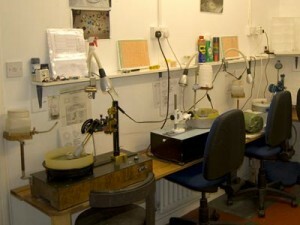 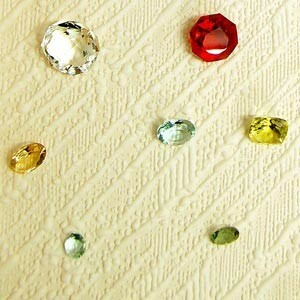 Faceting is a highly skilled craft that requires patience and attention to detail. 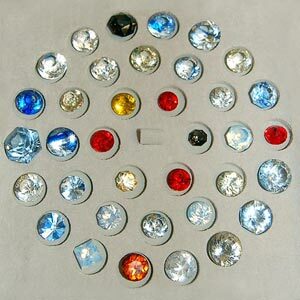 Even a simple stone can take many hours to complete. Most stones can be faceted but hard, semi precious stones with good transparency are preferred as the faceting process enhances the colur and brightness of the stone.